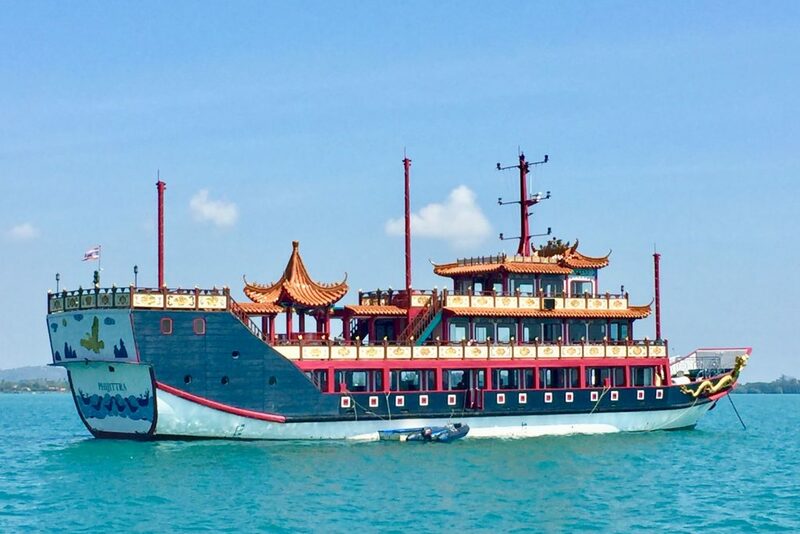 As reported in our previous post, we departed Langkawi in a hurry, as there were a number of deadlines ahead of us – much as we don’t like to rush! 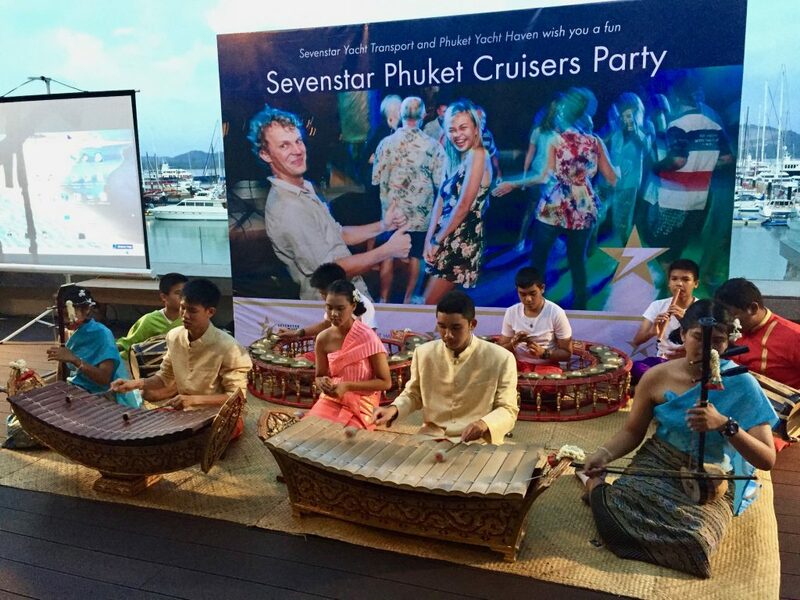 The shipwrights and service providers in Langkawi are mostly Australians and South Africans who have settled there and are very relaxed. They appear to think “you are retired, so you have a lot of time to waste”. Add to that the duty free aspect – gin, vodka and brandy at AUD7.50 per litre! Most locals and hard-core yachties are chilling in an alcoholic haze. 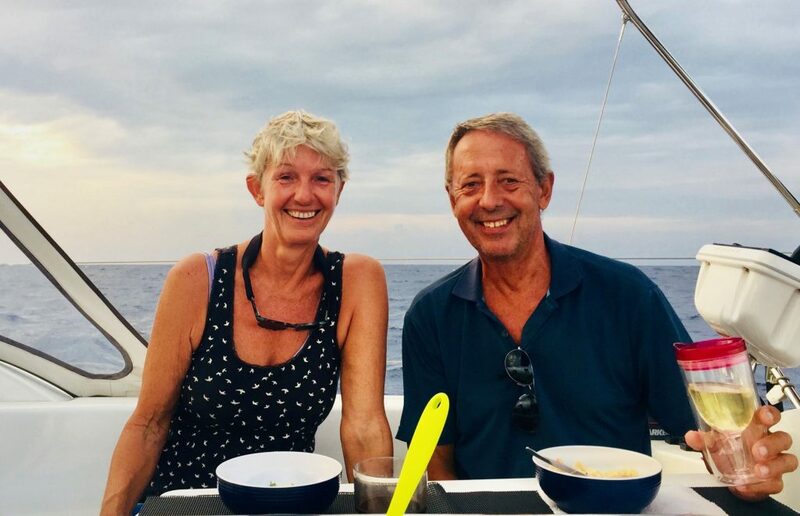 The result was that we sailed back to Phuket ten days later than we had planned – cutting out a later visit to Sri Lanka enroute, to be in time to meet Karen in India, when she flies in from Australia. 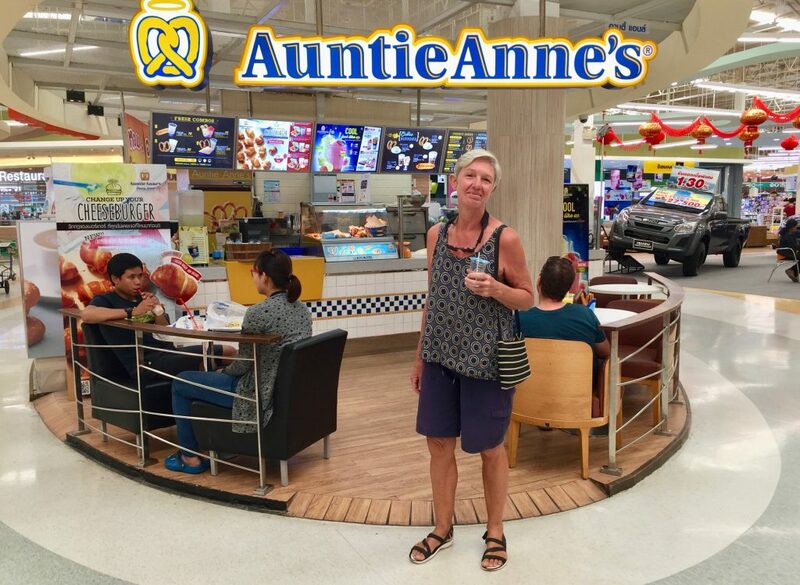 Annie at a Langkawi shopping centre. 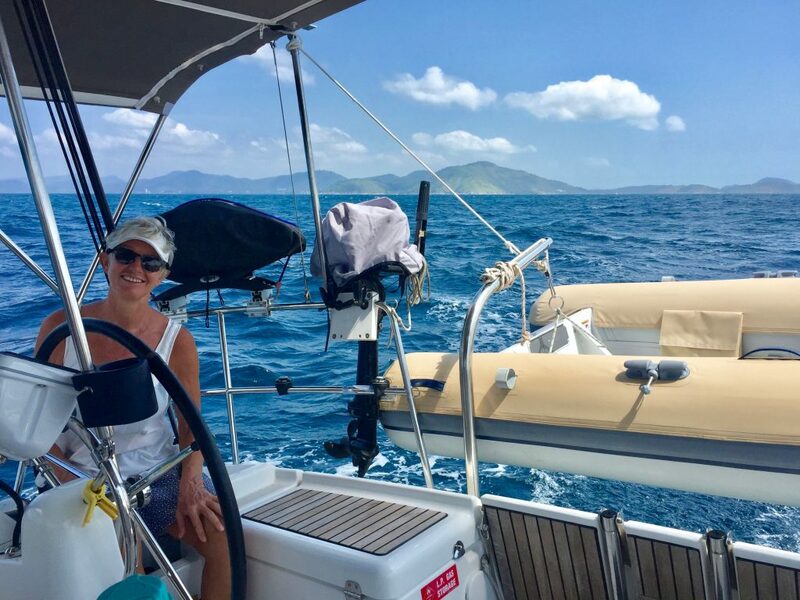 We did an overnight dash to Phuket to arrive at the Yacht Haven Marina in the north west of Phuket, just in time for Michelle’s arrival from Sydney. She arrived loaded with equipment for the yacht, a spare code zero sail, Aldi coffee capsules and meds for us. We managed to vittle the boat at Tesco and Makro, fill up with diesel (with additional containers on deck) and connected the additional 200A/h LifePo4 battery. 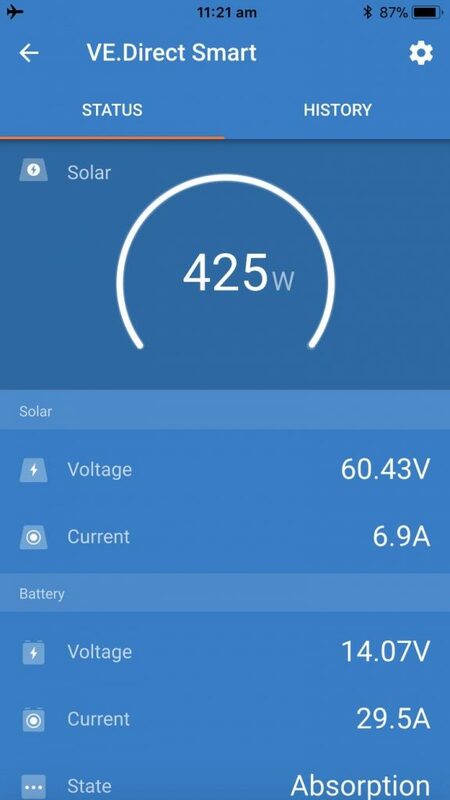 The 2 x 265W Canadian solar panels and the 2 x 200A/h LifePo4 batteries are working a treat – I can monitor charging progress through an app on my iPhone. It shows the charging, absorption and float cycles. Another 100 litres of diesel on deck. Total diesel load 500 litres. 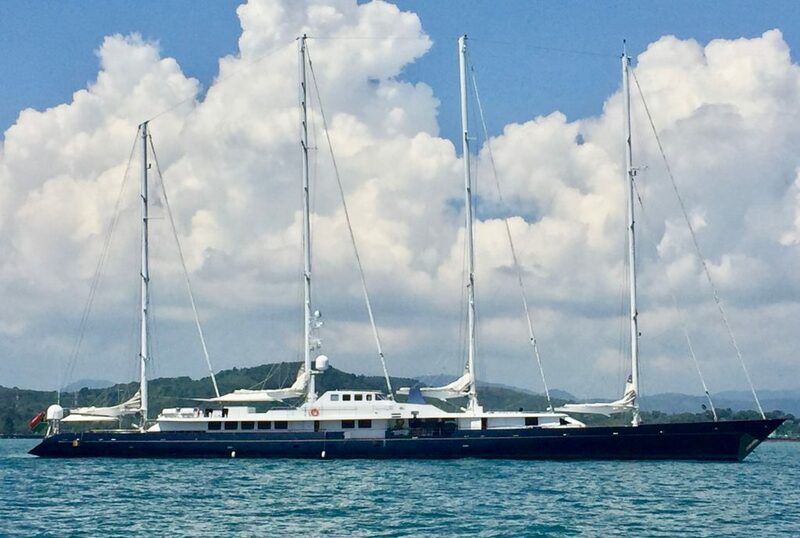 Phuket: back in superyacht territory. Yacht Haven marina’s most gross cat, behind a Leopard 39 cat. 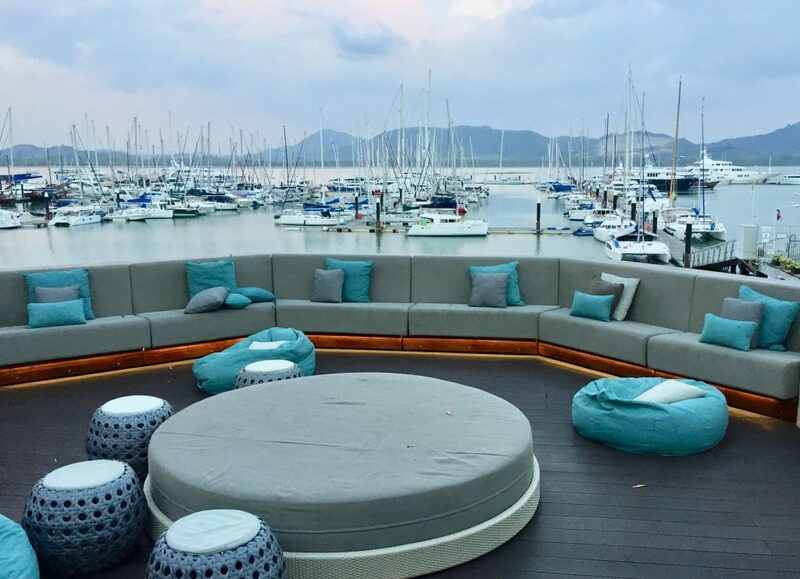 Yacht Haven – view from the bar. 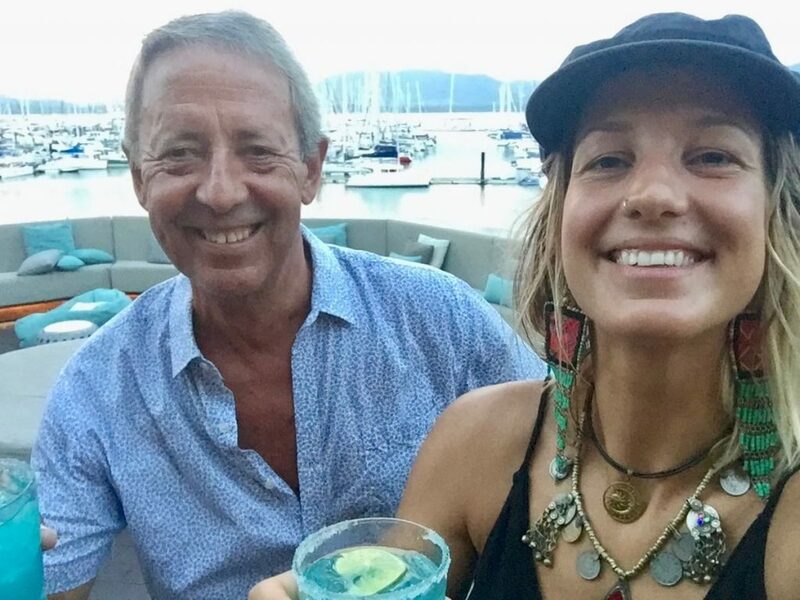 Father and daughter enjoying a drink. Yacht Haven marina and Sevenstar laid on a fantastic party with free drinks and food for 150 yachties, the night before we left. 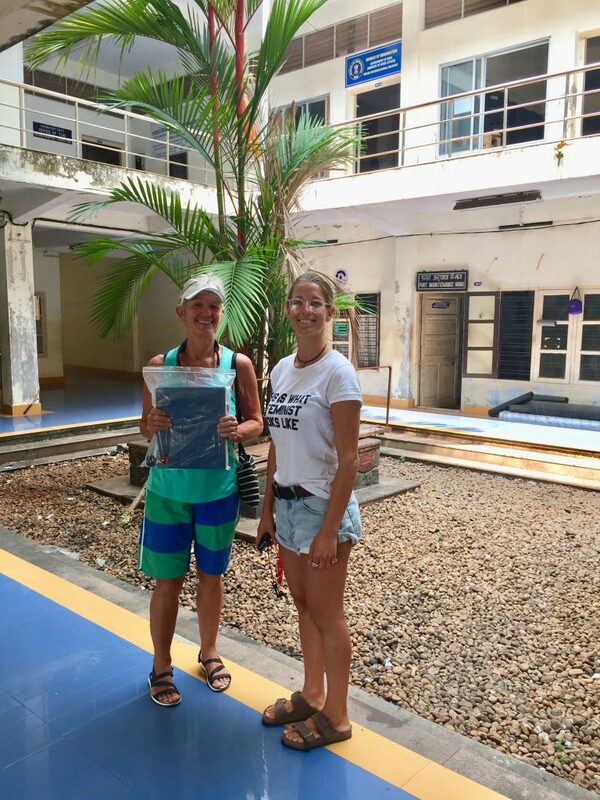 We checked out with the harbour master, customs and immigration in Au Chalon, and set off in a fresh breeze from Phuket to India at midday on Saturday the 3rd of February 2018. The Predictwind ten-day forecast was for north easterlies of around 13-15 knots. 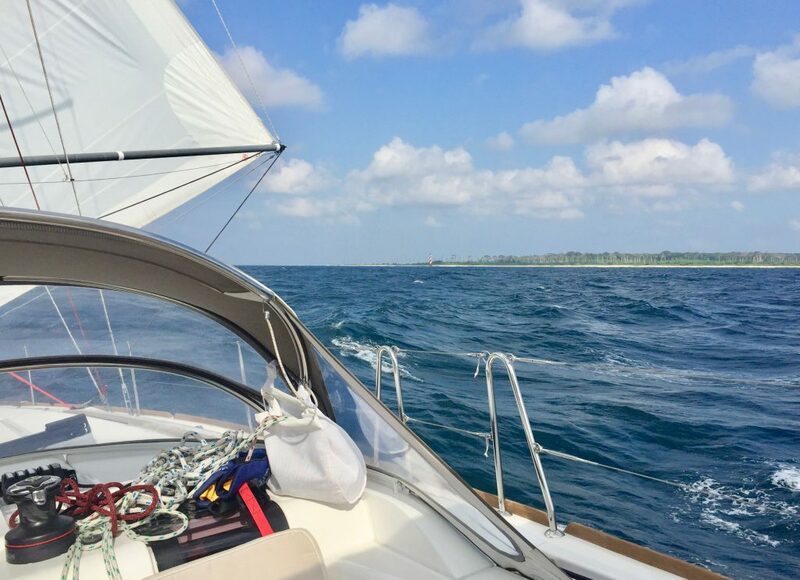 It turned out to be easterlies, which meant we had to pole out the jib and run zig-zagging downwind. Esprit with her new clean bottom was like a young filly – we did 24 hour runs of 160 to 170nm, averaging 6.5 to 7 knots/h. 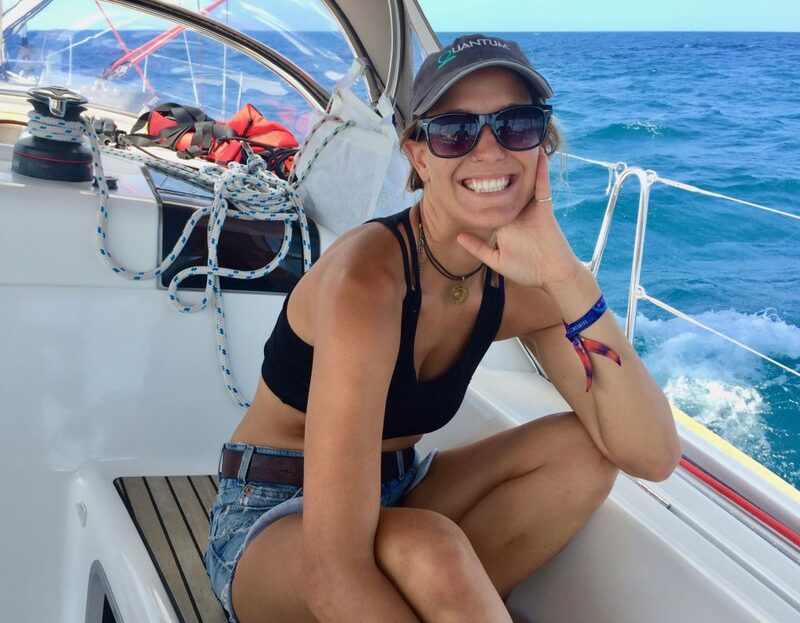 Early on day 2 we passed Indira Point lighthouse on the southern tip of Great Nicobar island and Annie celebrated by catching a blue fin tuna. Traditional music before the party. Passing the lighthouse south of Great Nicobar island. 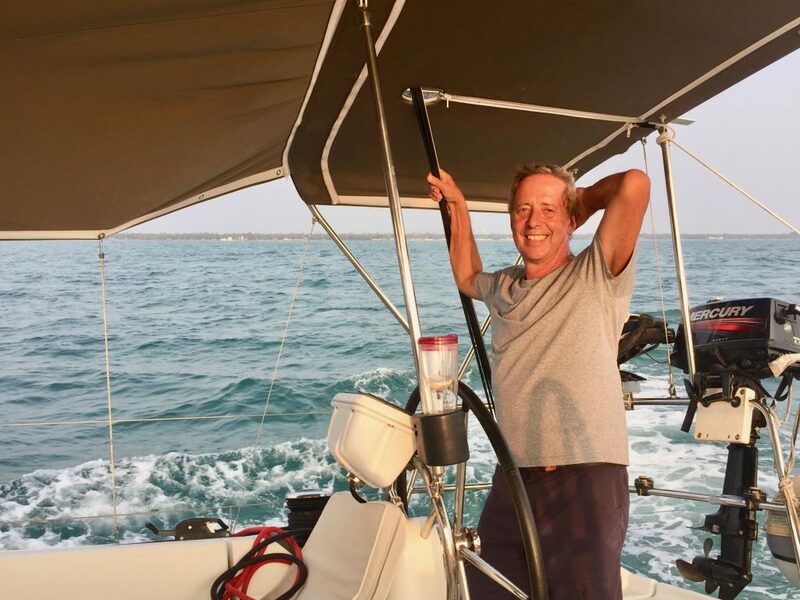 During the night of day 4, the long expected 15-18 knot north easterly kicked in and we could sail a rhumb line route, broad reaching to the southern tip of Sri Lanka where we passed the lighthouse at Galle on day 7. 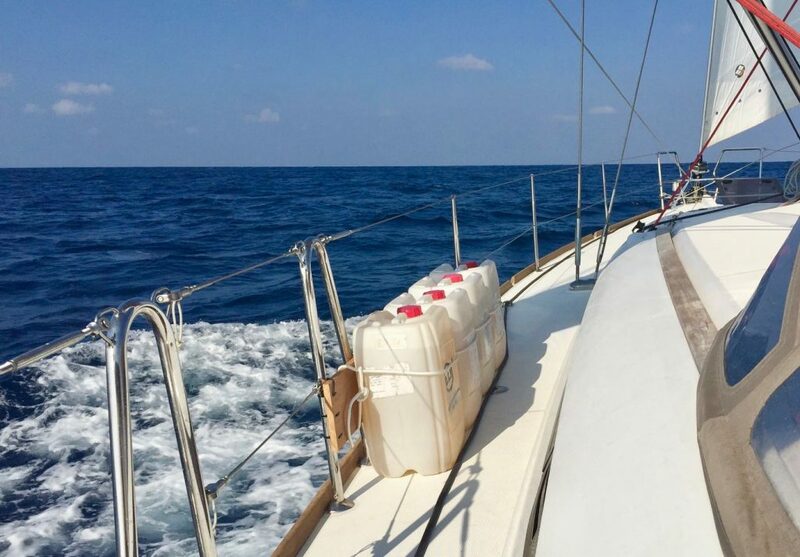 There was a 6-hour low wind period in the lee of the island, which we used to run the water maker to refill our aft tank – our 550l water supply had run out two hours earlier. Despite numerous reports to expect strong head winds on the leg from Sri Lanka to the south of the Indian peninsula, we caught the prevailing fresh north easterly again, about 25 miles offshore. This allowed us a romping tight reach across the Gulf of Mannar, between Sri Lanka and India – dodging numerous fishing boats enroute. Sundowners sailing up the west coast of India. No sooner had we made our Indian landfall at Cape Comorin at 5am on day 9, when we were intercepted by the Indian Coast Guard. 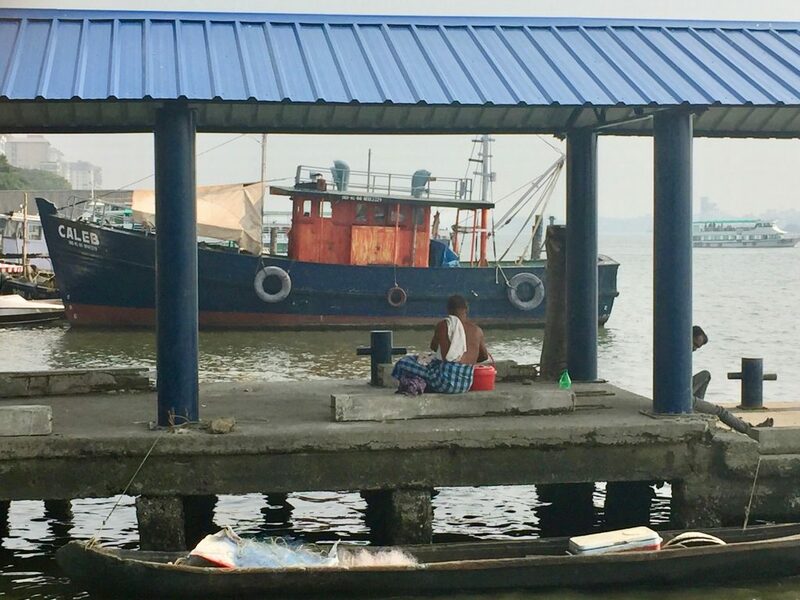 The friendly commander asked for our boat and crew details on VHF channel 16 and welcomed us, checking if we had enough diesel, food and water to reach Cochin, before wishing us fair winds. 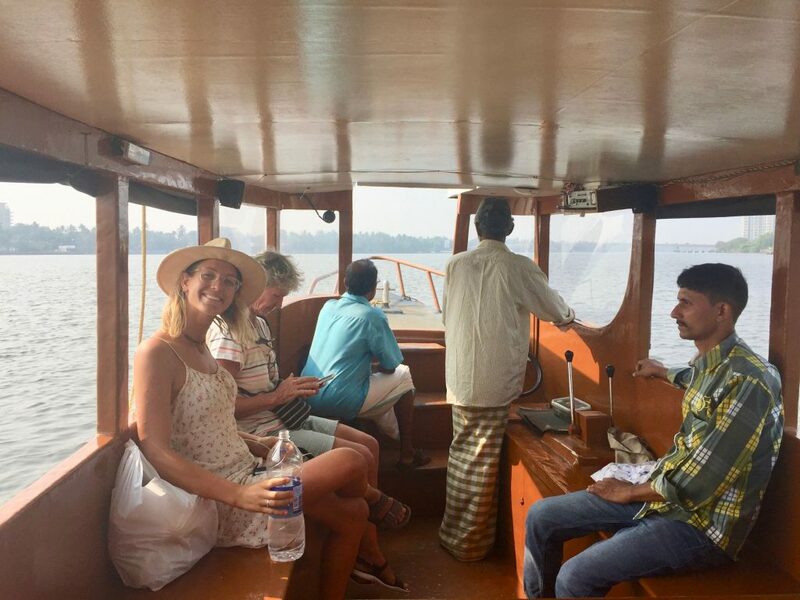 We were expecting to motor the last 100 miles up the coast, but the wind fortunately turned north west to allow us a pleasant port reach up the west coast of the Indian peninsula to Cochin. At this point I should add that having Michelle on board for this crossing has made the experience really enjoyable. With Karen joining us later this week, the crossing of the Indian ocean to the Red Sea and beyond to Suez, should be a lot easier for us old codgers. The new crew member even served us dinner. Esprit at anchor off the Taj hotel. We slowed down our speed approaching Cochin at midnight on day 9, to arrive at sunrise at the Cochin port entry, as there were numerous ships showing up at the entry area on our AIS. As we approached the leading marks at about 6:45 am, Cochin port control who had picked us up on AIS, called us on channel 16 to ask if we were entering port. 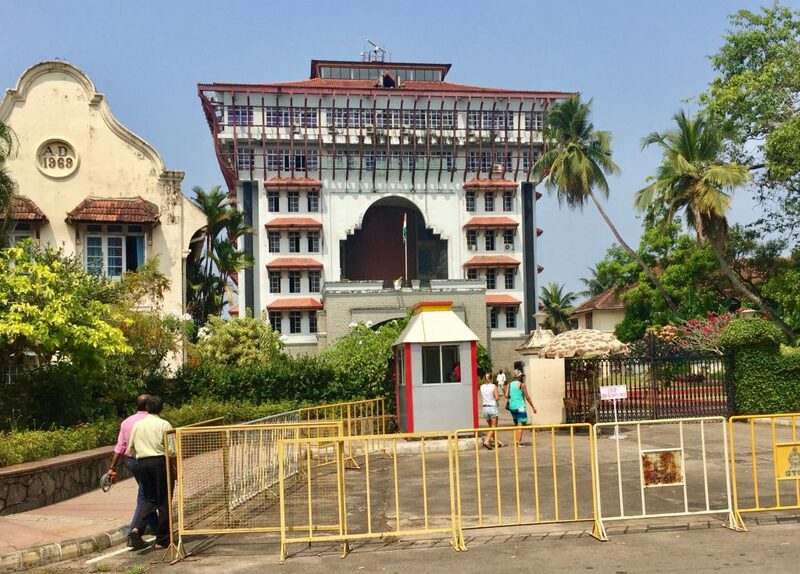 Confirming this, we were told to enter and anchor off the Taj hotel, where a boat would meet us to start the entry paperwork. At 7:30 am the port manager and a guy from Immigration boarded Esprit with the necessary documentation. We were told to come ashore to their offices. First Immigration – still fresh and all smiles. The British has left a legacy of official paperwork in India, that has no equal in the world. Six hours later, after visiting numerous buildings in the area, our entry was finalised by Customs, Immigration and the Port captain. 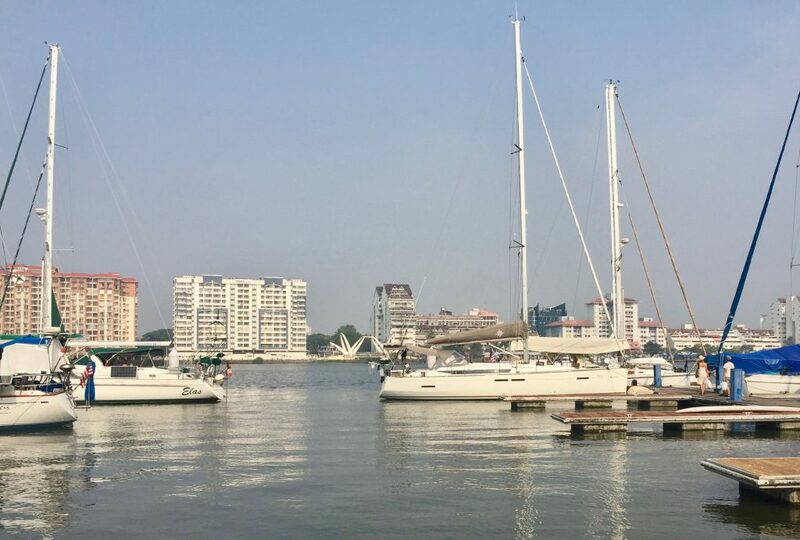 We then proceeded to the Cochin “International” marina, where the berths are undersized and very shallow. The other yachties who we met over drinks later, told us we were very lucky to have finished checking in in 6 hours – most of them took 6 hours on the first day, with another 9 hours the next day! Possibly, we were lucky that our check in was on a public holiday, with only a skeleton staff at each department, thereby reducing the number of officials who wanted to shuffle the documents around. 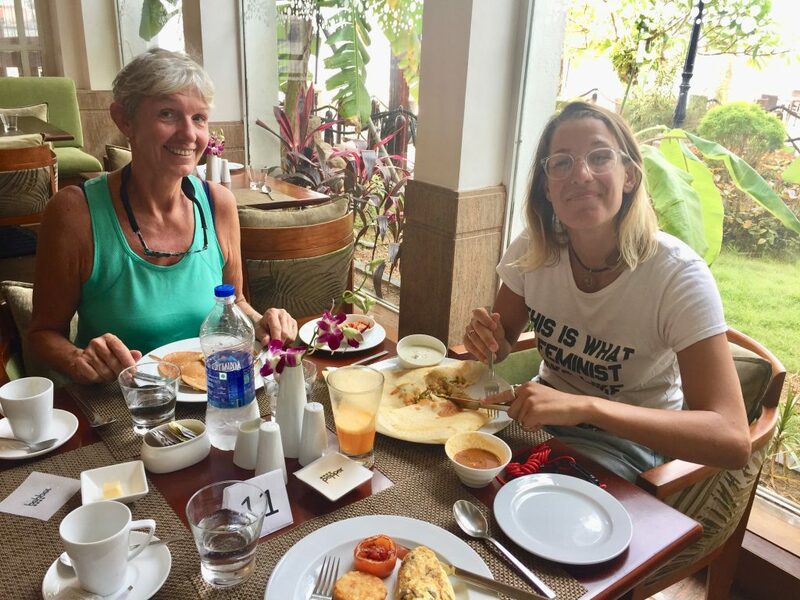 Then breakfast at the Taj Hotel, while Customs shuffled our paperwork. Finally, the Port Captain – what? 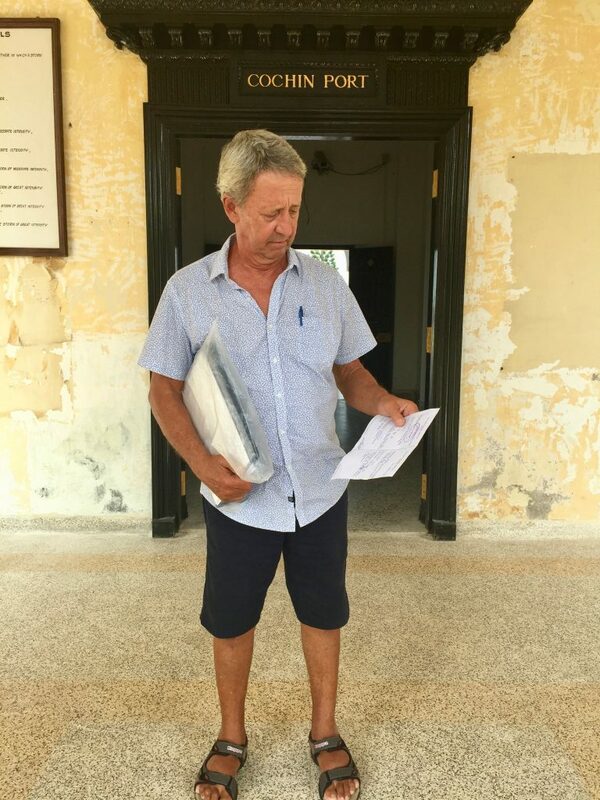 we have to pay port dues? 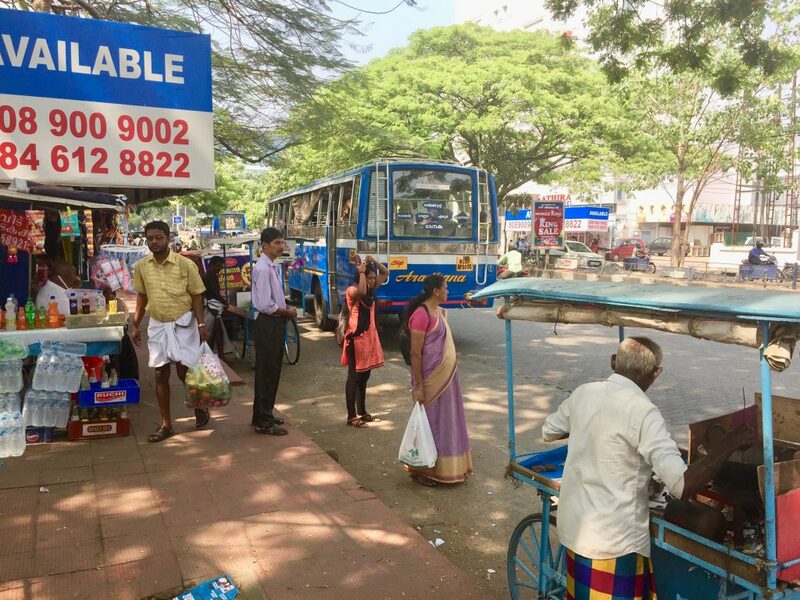 Cochin is a revelation – chaotic traffic, unbelievable air and water pollution, with piles of rubbish around. 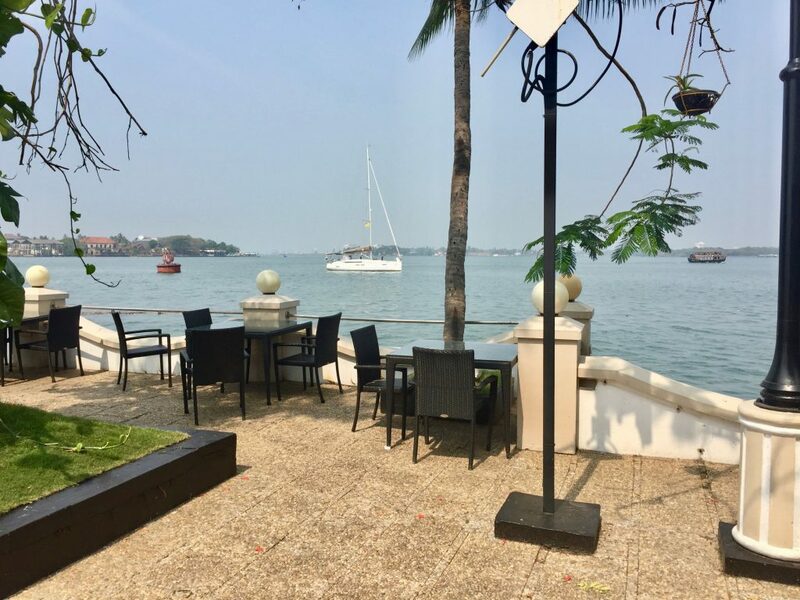 Another source of pollution is the ear piercing Bollywood music emanating from the passing sight-seeing boats next to the marina. On the positive side, the Indian people are extremely friendly and willing to help. Confusing at first though, is their habit of shaking their heads from side to side, to confirm or agree with your conversation. We would of course nod our head up and down to confirm or agree. Mr P.M. Nazar taking us to the Vodafone shop for our mobile SIM cards. Ferry terminal in the city. Ferry across the harbour to the marina. 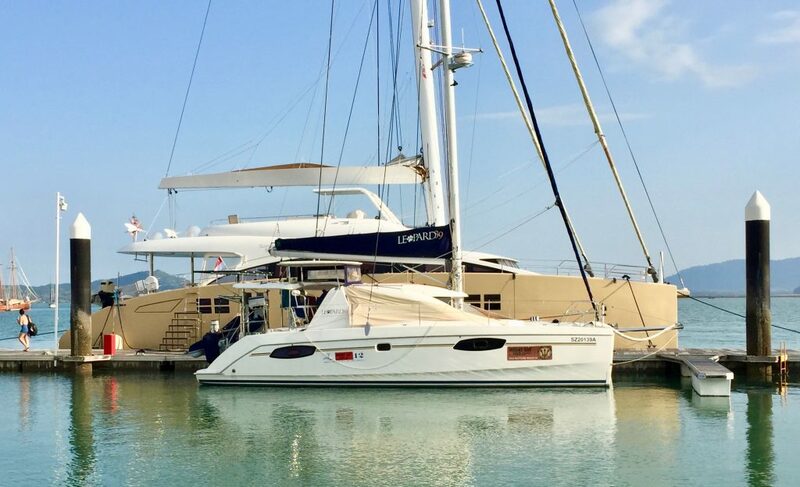 Esprit on the right at our compact marina berth – almost touching the yacht behind us. 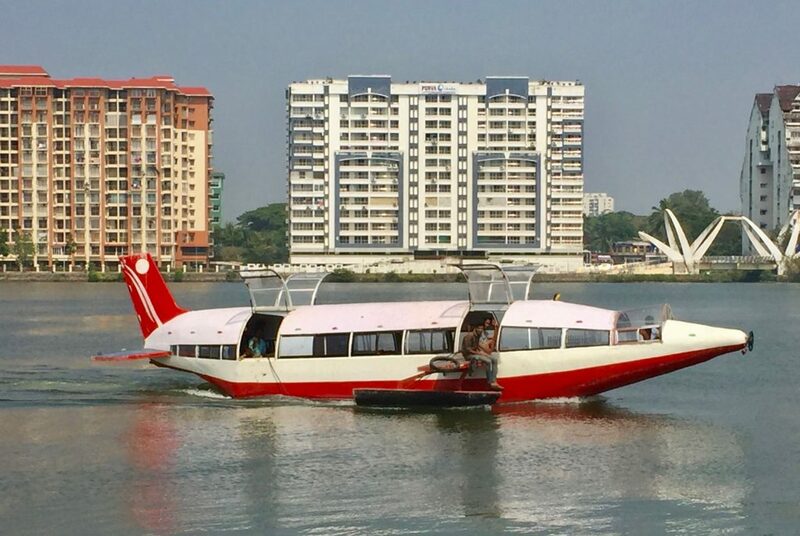 Interesting ferry – passengers are allowed to fly on the wing. Our anchor and chain was again showing serious rusting, so we took the opportunity to have these re-galvanized at reasonable prices, while we are here for a fortnight. We will also stock up with provisions and replenish the diesel before we set off for the Red Sea crossing at the end of February. 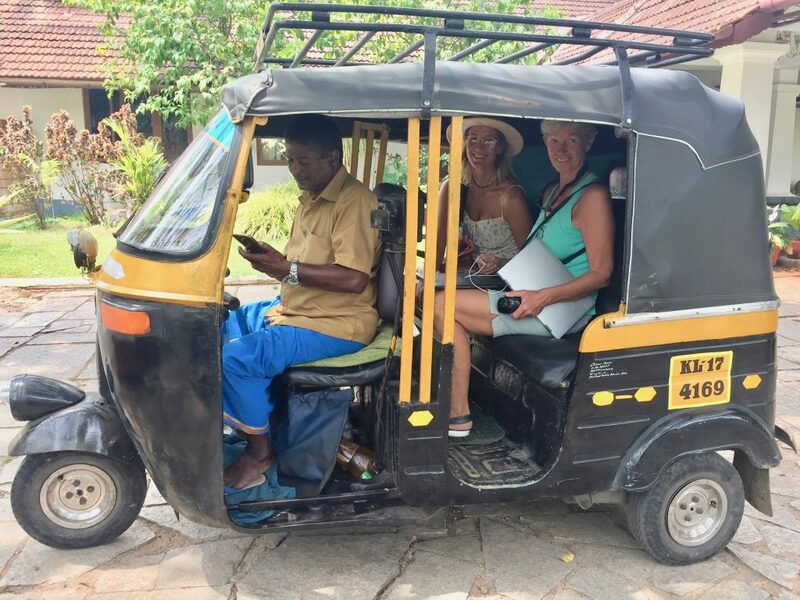 Karen will arrive on Saturday – she and Michelle plan to head south to do some surfing, while Annie and I will travel inland to do some sight-seeing. We will keep you posted on further developments. Cheers for now. ← Langkawi – take two. Hi Dirk sjoe julle het een amazing tyd dis die mooiste fotos wens ons was daar saam julle!! die 2 girls lyk stunning bly hulle is saam met julle. sien Johann Schroder het op jul blog geskryf……..wonder is hy oom Hillary se seun vd Meganiese skool? Waar is hy in die lewe? GENIET JULLE TRIP EN WEES VEILIG! !